At our practice we make every effort to provide you with the finest clinical care and the most convenient financial options. To accomplish this, we work hand in hand with you to maximize your insurance reimbursement for covered procedures. We will process all of your dental claims for you. 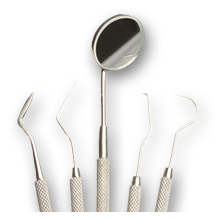 If you need to know more about coverage for specific procedures, we can provide the appropriate dental codes. The level of coverage varies greatly between plans and insurance companies. If you have any problems or questions, please ask our staff. They are well informed, up-to-date on various insurance policies and can be reached by phone at (757) 487-0144. Please call if you have any questions or concerns regarding your initial visit. Please bring your insurance information with you to your appointment so that we can expedite reimbursement. Because we see patients only 1-2 times we expect payment in full. We will try to be as flexible as possible.